It’s a factor that is often overlooked, but it’s also one that can negatively impact both your initial download numbers and your uninstall rate in a big way. 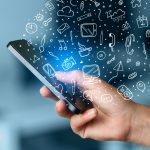 When there are so many factors to consider upon creating a new app, it can be hard to keep track of just which are the most important. While developers are focused on producing a masterpiece of work that pushes mobile capabilities to the limits, it’s critical that you also consider that your file size on completion will greatly determine how many people are actually downloading your wonderful new creation – no matter how amazing the quality is. Nowadays, mobile users rely on their iOS and Android devices to not only provide hours of endless entertainment through apps on the go, but to also store their music, documents, photos and videos – all of which take up valuable storage space. Read on to discover how you can still create a well-designed app, which won’t be held back by its enormous file size. It’s something we’re all guilty of and it’s also one of the toughest challenges facing new developers who are trying to become the next big thing on iOS or Android. Picture this – your device if running low on storage, so what’s the first thing you do? Head straight to your settings and check out which apps are taking up the most space – click uninstall and the problem is solved. This scenario right here is why size really does matter when it comes to the file size of your new mobile app. So, how big should your app be? When it comes to optimizing the file size of your mobile app, it’s a good idea to aim for somewhere between 20MB-50MB. This range covers the limits put in place by most cellular carriers and app stores¹, which means your downloads are less likely to be limited to WIFI only users and are more likely to experience a smooth transition when launching into the iTunes or Google Play stores. According to Ankit Jain, a leading member of Search and Discovery for Google Play, file size can contribute greatly to how your new app will fair when going through the algorithm for app store rankings. 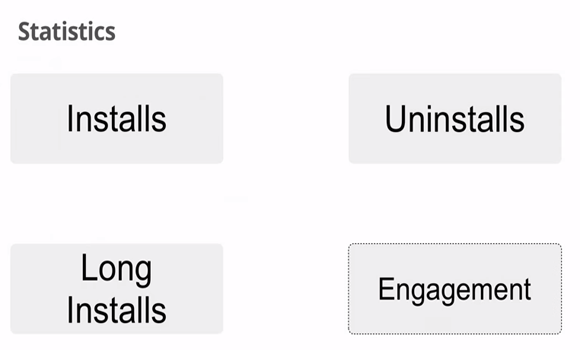 The team at Google Play consider three main aspects surrounding your game – installs, uninstalls and long installs². If your app is uninstalled within a short period of time following the initial installment, you will be penalized in the charts and, unfortunately, this is a too common occurrence for apps with a large file size. While you can always play the catch up game and take steps to shrink the size of your app, once it’s already at the final stage of production, your life will be a whole lot easier if you consider the importance of a minimal file size during the initial design process. Firstly, I’m definitely not suggesting that you should sacrifice fundamental design elements that will enhance a players experience through perfectly calculated gameplay, but in many cases the aesthetics of app elements can be edited slightly in order to see significant results pertaining to the file size. For instance, changing something like the border in your main menu could take up far less texture files, providing more room for you to be creative where it really matters. When designing landscapes for gameplay scenarios, consider using repeatable texture for each element (where applicable). By separating an overall image into smaller segments, you will then be able to assemble them in code, allowing you to create an impressively detailed backdrop, without using large asset files. Unity is fast becoming one of the most popular development platforms for creators within the mobile industry. If you are a Unity specific developer, it is vital that you cultivate a keen understanding of the most efficient way to reduce your file size during the building process. Click here to discover the insider tips and tricks from the team at Unity. Many developers are now creating content that must be downloaded once a player is already immersed in a mobile app. For example, as a player, you may be asked to download an additional file before entering a new area of gameplay. The advantage for developers when using this technique is that they can still create their new app as they’ve always imagined it (without sacrificing any content or assets), while still appealing to users in the iTunes and Google Play Stores, as they offer up a beautifully designed game with a download size of just 25MB. There is one risk involved with this minimization technique, which is generally only a problem if you create extra downloadable content that is a must have for game progression. If your new in-app file is optional to players, you are still providing the ultimate gaming experience, without forcing users to increase the total download of your game to upwards of 100MB. If you choose to make these new in-app downloads a necessity, you risk losing players and increasing your overall uninstall rate, so always be sure to consider this factor when choosing how to optimize the file size of your new app. When considering how you will optimize the file size for your mobile app, always make allowances for your target audience, namely what type of mobile gamers will be attracted to your app. If you are creating an app that appeals to console gamers and provides the ultimate in mobile gaming, contending with the likes of next generation games on the market, players are more likely to overlook a large file size for impressive quality. If your new app is an on-the-go game that is aimed at casual gamers, however, optimizing your file size becomes a more predominant concern. For more ideas and advice on how to optimize the marketing of your latest app, be sure to check out our Marketing Guides for some insight into the ever-competitive mobile industry. 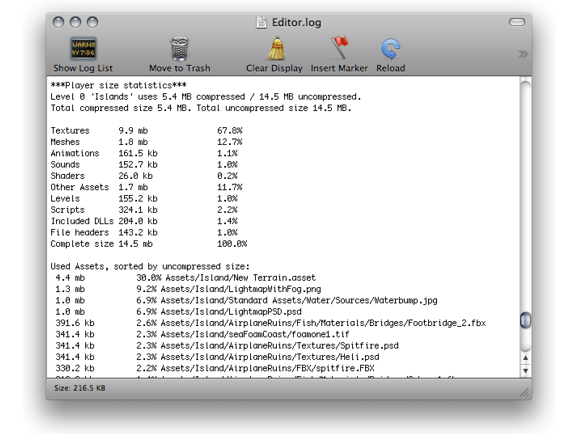 ¹ Marks, T. (2013) File Size, an important factor often overlooked. http://www.gamasutra.com/blogs/TobiahMarks/20131028/203397/File_Size_an_important_factor_often_overlooked.php. Last edited 28th October, 2013. ² Jain, A. (2013) Google I/O 2013 – Getting Discovered on Google Play. https://www.youtube.com/watch?v=5Od2SuL2igA. Last edited 19th May, 2013.